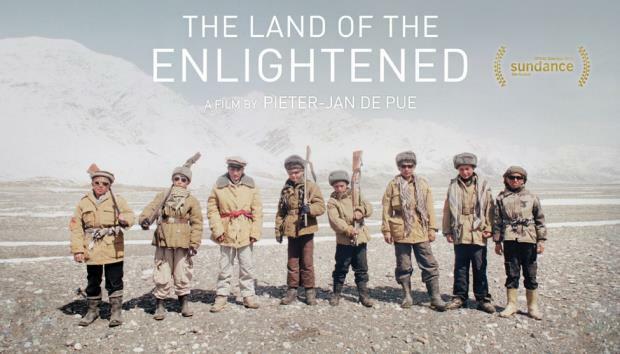 Please join us for the multi-award winning movie "The Land of the Enlightened" (2016), by the young Flemish director Pieter-Jan De Pue. In this seamless blend of fictional and documentary form, we experience a stunning cinematic journey into the beauty of war-tormented Afghanistan. Shot over seven years on evocative 16mm footage, the epos paints a whimsical yet haunting look at Afghanistan through the eyes of the next generation. As American soldiers prepare to leave, we follow De Pue deep into this hidden land where young boys form wild gangs to control trade routes, sell explosives from mines left over from war, and climb rusting tanks as playgrounds-making the new rules of war based on the harsh landscape left to them. De Pue's wonderfully crafted film confronts the visceral beauty and roughness of survival, serving as a testament to the spirited innovation of childhood and the extreme resilience of a people and country. The Land of the Enlightened premiered at the Sundance Film Festival, where it won the World Cinema Documentary Special Jury Award for Cinematography. It went on to win numerous prizes at other film festivals around the world. The screening will be subtitled in English.